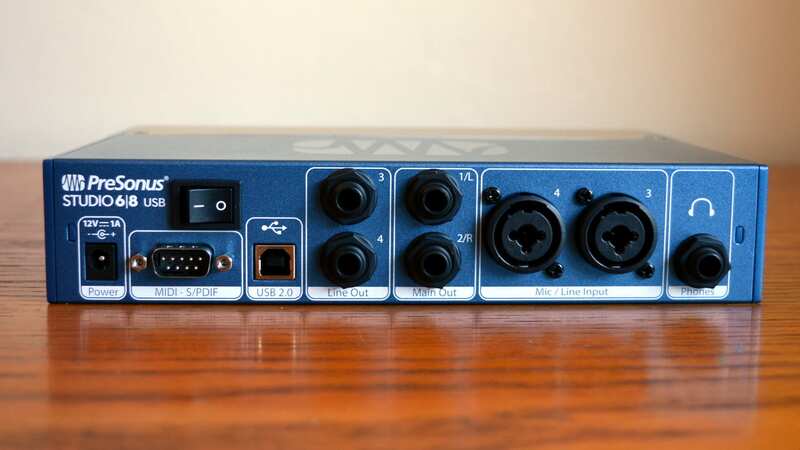 PreSonus has long been a driving force in the audio interface world, and for good reason. It has released dozens of affordable, stylish, and great-sounding interfaces that appeal not just to the home studio owner, but also to the more seasoned professional. Now, the company is back with two more offerings — the PreSonus Studio 26 and the PreSonus Studio 68, the latter of which we’re taking a look at in this review. Now, as mentioned PreSonus has a long line of quality interfaces under its belt, so the PreSonus Studio 68 has a lot to live up to. We’ve also reviewed other PreSonus products — like the Monitor Station V2, which scored excellently well. Can it live up to the increasingly important PreSonus name? We put the interface to the test to find out. The first thing you’ll notice about the PreSonus Studio 68 is its design, and it looks quite good. It features a classic PreSonus aesthetic to it, boasting a brushed metal look combined with the nice dark blue PreSonus is known for. On the front of the interface, you’ll find two XLR/TRS inputs, along with volume controls for the four inputs, a main volume control, and a headphone volume control. You’ll also find four buttons, which control phantom power, input monitoring, mic/line switching, and cue A/B for the headphone output. On the back of the interface, you’ll find a power input, a MIDI / S/PDIF output through an included breakout cable, a USB port, two line out ports, two main out ports, the third and fourth XLR/TRS inputs, and a headphone output. We would have liked it if the headphone jack was around the front of the interface rather than the back — and while we understand there were certainly space constraints, it can get a little annoying having to snake a headphone cable around the back. There are a lot of things we like about the design of this interface. For starters, it’s nice that PreSonus has saved a little space on the back while still retaining support for MIDI. The accessibility of the buttons on the front is also nice — it gives quick access a number of helpful features, and the way its implemented looks nice too. Last but not least, the input monitoring is well-done, and looks good from an aesthetic perspective — not to mention its functional use. 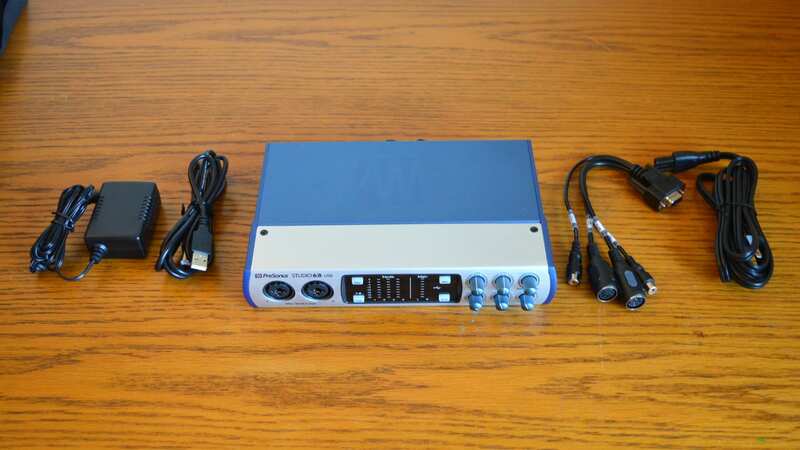 In the box, you’ll find the interface itself, a power supply, a USB cable, a MIDI and S/PDIF dongle, and four feet that you can stick on the bottom of the interface. It’s a nice slew of accessories, and really all you’ll need from the device. The PreSonus Studio 68 is quite easy to use, and we experienced no problems in getting it up and running. All we had to do was plug it in, fire it up, and it was immediately recognized by my DAW of choice, Pro Tools. We also tested it out with PreSonus’ own Studio One, and again, the interface was immediately usable without any issues. Navigating around the interface itself is also pretty easy. As mentioned, a headphone jack on the front would have been welcome — but we understand the space constraints. Unlike the PreSonus Studio 26, the Studio 68 cannot be bus-powered — and while that’s due to the fact that this interface uses PreSonus’ higher-powered XMAX preamps, it still would have been nice.. 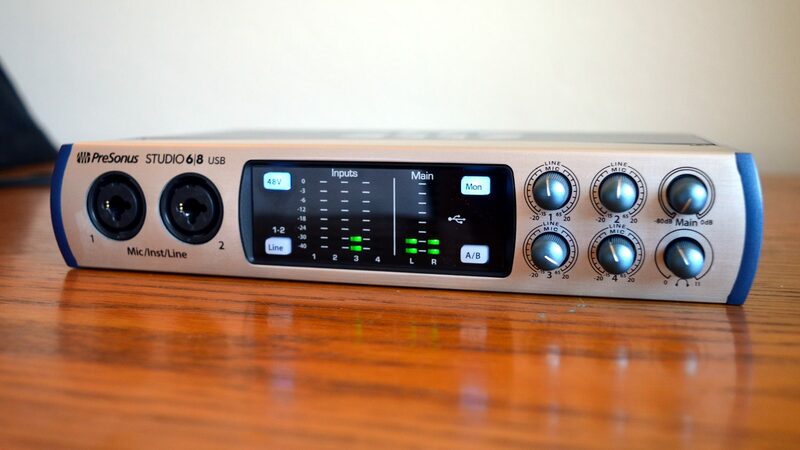 Speaking of USB 2.0, you might be wondering why PreSonus hasn’t adopted the newer USB 3.0, and the answer is just that it’s not necessary for an interface like this — and on the contrary USB 2.0 is cheaper. Another small issue to consider is that you can either enable or disable phantom power on all four microphone preamps — you can’t choose which preamps you want it enabled on, so you might want to be careful if you plan on using microphones that are unable to handle phantom power. In any case, the PreSonus Studio 68 is very easy to use, and there are only a few minor changes we would have liked to see. If you’ve had any experience with using an audio interface before, the Studio 68 should be a breeze — and even if not it shouldn’t take long. Design and ease of use is important enough, but it’s irrelevant if the interface doesn’t sound good. Thankfully, the PreSonus Studio 68 sounds great — though considering PreSonus’ past, that was expected. 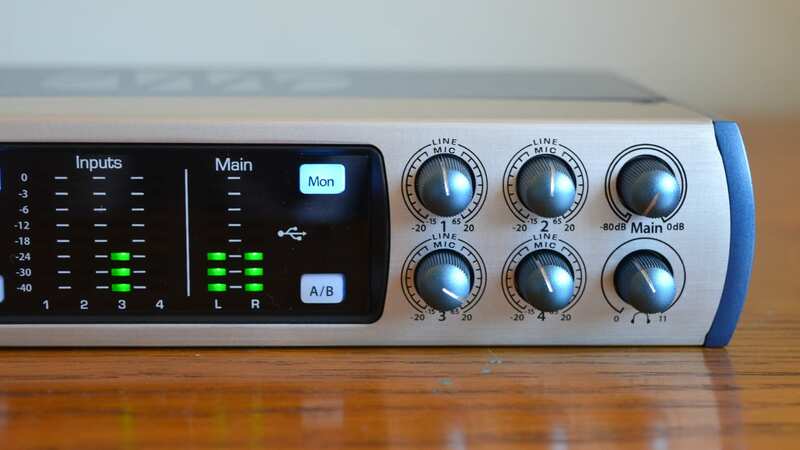 The preamps, which are PreSonus’ XMAX solid-state preamps, are really quite transparent, which is exactly what you would want from an interface like this. We tried it with various percussion, guitar, bass, and vocals, and it was easily able to handle all of these situations without adding any noticeable color to the signal. That makes the interface versatile — and when you only have four mic preamps at your disposal, versatility is an important thing to consider. The interface is capable of handling 24-bit/192kHz audio — which nice, but not all that surprising. We would expect no less from PreSonus. Perhaps unsurprisingly, PreSonus has hit a home run with the PreSonus Studio 68. The interface is well-designed, easy to use, and it sounds great. It’s an extremely versatile interface that should appeal to home studio owners and pros alike. Not only that, but it’s relatively inexpensive too, coming in at $300 — which is pretty good for a 6-input device with four mic preamps. The interface isn’t perfect by any means, but it’s a great start, and an excellent option for those looking for an interface with $300 to spend. It’s not without it’s competitors — the Focusrite Scarlett 6i6 comes with six inputs as well, and is around $80 cheaper, but given that it only has two mic preamps, we would argue that the PreSonus Studio 68 comes out ahead. You can get the PreSonus Studio 68 for yourself using the links below.